The weather is warming up and spring and summer mean more fruit salad recipes in my house! 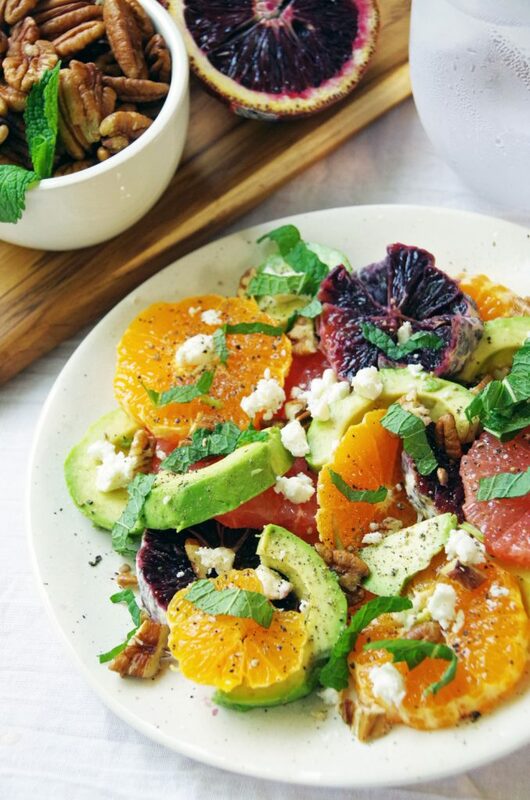 This citrus avocado salad recipe is SO much more unique than your average everyday fruit salad. Top with a bit of fresh feta cheese and some chopped pecans and you have loads of flavor and texture. 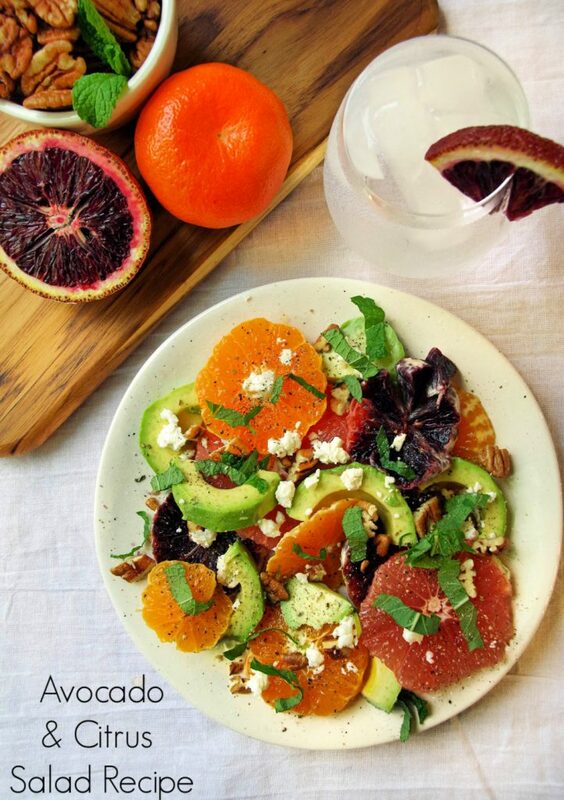 Get creative with your fresh citrus and look for grapefruit, blood oranges, or maybe even a kumquat! Remove the rind from the oranges using a citrus peeler. Remove the white pith from both the oranges and the grapefruit. Slice into thin rounds. Peel the avocado right before serving. If you peel avocados too early, they will brown and look unappealing. Grow your own mint. Mint is incredibly easy to grow. You also tend to use very little per recipe so don’t waste money at the grocery store when you can go into your back yard and grab a handful. Get creative! Add a few pickled red onions or fresh green onions for added flavor. Remember, not all salads have to be green. However, if you are looking to make a meal out of this, pile it all on top of a bed of baby greens. 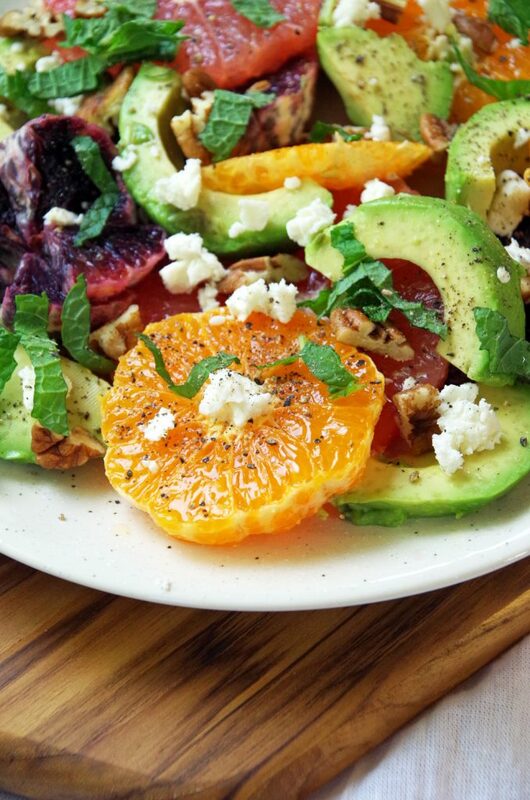 Lemon vinaigrette is a delicious salad dressing for this citrus avocado salad recipe. Or, you can just whisk some lime juice, honey, and olive oil together and drizzle it over the top. Use your leftover citrus rinds and make your own homemade flavor extracts. 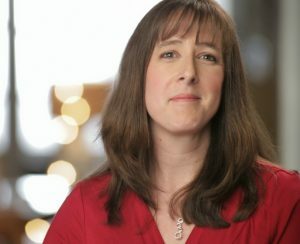 Not into making homemade extracts? Check out my post on other creative uses for orange peels. How Do You Keep Avocados Fresh for Salads? Keeping avocados fresh is seriously challenging. You buy fresh avocados and within days they are moldy and squishy. So, how do you keep avocados fresh for your citrus salads? Store avocados in the fridge to keep them fresh for up to two weeks. After you slice the avocado, leave the pit and coat it with olive oil or lemon juice. Then store in an airtight container in the fridge. Put your cut avocado with onion chunks to help prevent browning. How long will avocado last once cut? Well, it does depend on a few factors. however, properly stored, cut avocados will last for 3 to 4 days in the refrigerator. Not sure what to do with leftover avocado? Make my avocado fruit smoothie recipe or just toss it into an easy rice bowl with chicken. You can even invest in an avocado storage container if you want! 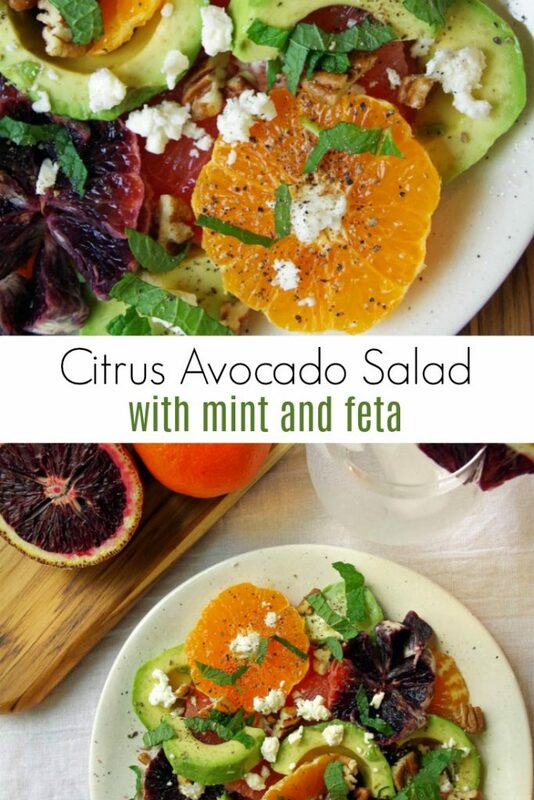 This citrus avocado salad recipe with mint is a refreshing summer salad. Top with feta cheese and chopped pecans for loads of flavor and texture. 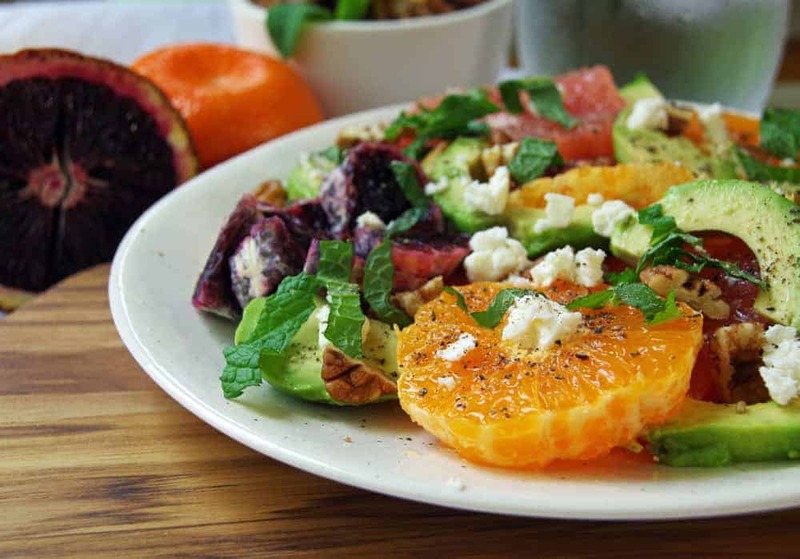 On a plate or bowl, place the pieces of citrus fruit and avocado. Gently combine or enjoy as is.